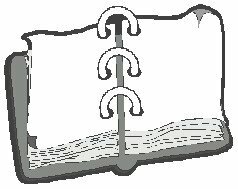 This page is for friends, family and any interested person to find out about me, Colin John McCormick of Plymouth, Devon, England. It also provides links to my web sites concerning Video Formats (in particular Beta), BSB satellite receivers, also Hillman Avenger cars, Pictures of Plymouth, my Virtual Loft full of electronic stuff, and my Hifi page. I hope you find it interesting. I can transfer your video tapes to DVD. All kinds of video tapes! VHS, S-VHS, Betamax, Video2000, Video8, Hi8, Digital8, mini-DV Betacam and many more. See my web site at www.video99.co.uk, even if you don't need any transfers it still makes interesting reading. 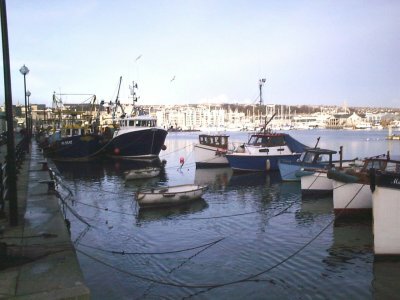 There did not seem to be many pictures of Plymouth (Devon, England) on the Internet so I'm trying to make amends. Tell me if you like them, and if there are any more you would like to see. Features include Plymouth Hoe, Plymouth City Centre, and Dartmoor. I get emails from people all over the world who really like these pictures, so if you've ever lived near Plymouth, do take a look. They can all be viewed in high definition too. 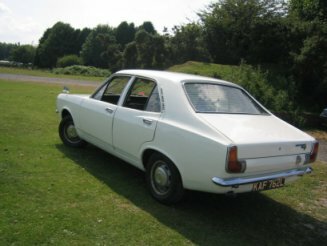 There was a great little car made in the UK during the 70's, called a Hillman Avenger. They didn't get a particularly great reputation because they were so popular and did so much hard work that they often finished up shabby. But like all Hillmans, they are now collectors items and good ones are quite valuable. I used to own one (and so did my girlfriend of the time) and we loved them. Recently I was given another one. Read my Hillman Avenger page for some nostalgia, or heaps of useful information for present day owners. Beta (Betamax) video recorders always did out perform VHS, and despite the fact that they've not been sold in the UK for several years now, they still have a great following. In particular Hi-Fi stereo ones and those with enhanced picture quality (Super Beta) are now sought after and valuable. My Beta video page also provides interesting information on other video formats - yes there are (and were) a lot more than VHS! Also with information on how to obtain parts and service a Beta video recorder. Also, a Betamax to DVD copy service, or Betacam/VHS/Video2000/Hi8/SVHS/(etc..) transferred to DVD. Full of useful information Description of a surround sound hifi and video system based around an Onkyo TX-DS575 Dolby Digital surround amplifier, Pioneer DV-525 DVD player, Sony MDS-JE530 Minidisc player, and video recorders Sony EVS9000E and Panasonic NV-FS88, amoungst other things. Includes reviews for many of the major components and extra information on the Sony KV-28FX60U and FX65 televisions. I live in a lovely Devon village called Yealmpton, so I'm putting a few pictures and details together about the place. If you live in the South West of England, or particularly Plymouth, please don't ever chuck out any electronic stuff, especially if it is fairly modern. I fix and play with all kinds of video, satellite and computer equipment, and can make good use of a lot of modern electronics that usually finishes up at the local dump. So if you are about to sling something out that is reasonably modern but no further use to you, please let me have the chance to collect it. It's environmentally friendly too! The other equipment I'm always after are Beta (Betamax) video recorders. On the other hand, visit my Virtual Loft full of dead, dying and finished-with stuff, to see if there's anything you might need! By now any reader might think I'm some kind of geek. Well, my friends would tell you that I'm definitely not! So there. My favourite toy is a 1994 Toyota Celica GT, which I've had since 1998. This develops 172 HP from a non-turbo 2 litre engine. 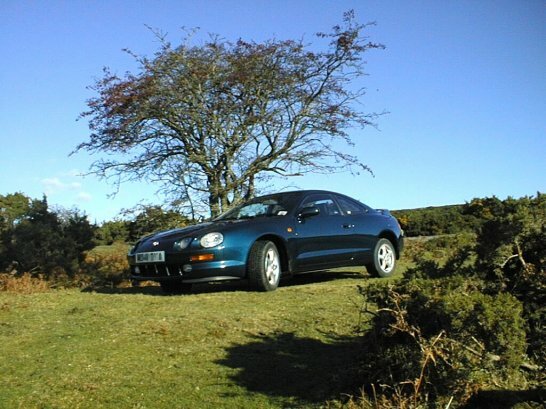 If you have one of these or are considering buying one, have a look at my Celica page for a few more pictures of it, and get some useful information about suspension clonks and gearbox problems as these cars get older. I like to receive friendly email from nice people! Spam however gets blocked.